Come spend the day with your fellow beekeepers. Listen to outstanding speakers. Learn how the bees and beekeepers in Maine did this year. 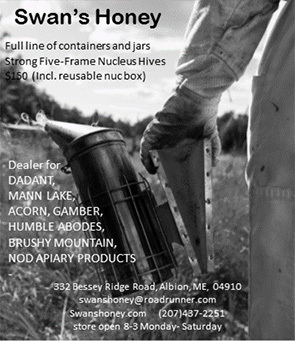 Bring an item for the raffle table and a 1 lb jar of honey for the Honey Tasting Contest. Lunch is included. Vegetarian option available. Membership in the MSBA is required to attend. Registration begins September 1, 2107.